Born: 17 June 1873, Northern Natal, South Africa. Died: 24 July 1950, Harrismith, South Africa. John Weston, South African aviation pioneer and adventurer, accompanied his parents to the United States when he was ten years old. Information about his early life and professional career is sketchy and often conflicting. In 1888, at the age of 15, he joined a firm of electrical engineers in Belgium where he received further training, worked as an installation engineer, and became a partner in 1895. He designed or improved electrical equipment such as arc lamps, dynamos and motors, on which he took out several patents in England. He then established the electrical firm M. Weston and Co., with himself as principal partner and managing director, to manufacture light electrical apparatus and an arc lamp that he had patented, in Birkenhead, England, and Li�ge, Belgium. He was admitted as an associate of the (British) Institution of Electrical Engineers in February 1903, but by this time had already given up his electrical firm. Meanwhile he had started research on the design of aeroplane wings and came in contact with several aviation pioneers. In between these activities he used every opportunity for globetrotting, trying his hand at a variety of jobs. He is also believed to have obtained a doctoral degree, probably in civil engineering, but it is not known when or at which institution. Weston returned to South Africa early in 1902 and fought for the Boers in the last days of the Anglo-Boer War (1899-1902). However, he soon left again and was involved, among others, in bridge building in Russia up to the ourbreak of the Russo-Japanese War in 1904. In December that year he was elected a Fellow of the Royal Geographical Society. Early in 1906 he returned to South Africa and on 10 August that year married Elizabeth M.J. Roux, with whom he had a son and two daughters. He took up farming near Bultfontein in the Orange Free State, but settled in Brandfort in 1909. Meanwhile he had begun to design and build the first aeroplane in South Africa in 1907. Because the four-cylinder water-cooled Panhard engine that he had installed was underpowered, he took the parts of the plane to France in 1909. There he gained substantial flying experience and obtained an aviator's certificate from the Aero Club de France. He replaced the engine of his plane with an air-cooled, rotary Gnome engine and, in collaboration with Henri Farman, completed the "Weston-Farman" biplane and brought it to South Africa. Back in Brandfort he founded the John Weston Aviation Company and played a leading role in the founding of the Aeronautical Society of South Africa in March 1911. His company published several pamphlets to promote an interest in aviation, one of which was entitled How it flies: "The weston" bi-plane. On 18 June that year he held his first public flying demonstration in this plane at Kimberley. Finding it difficult to transport, he subsequently used an imported Farman biplane and bought three Bristol biplanes from a visiting Belgian pilot, Joseph Christiaens. With these machines he held demonstration flights in various centres throughout the country and even in Mozambique. However, his efforts to gain the support of the government for establishing an aviation training school and perhaps a military aircraft factory were unsuccessful. Early in February 1913 his workshops at Brandfort and five aeroplanes were destroyed in a fire. On the basis of his contributions to aviation he has been called the "grandfather of aviation in South Africa". At the outbreak of World War I (1914-1918) Weston was appointed ground officer in charge of landing grounds in South West Africa and prepared an airfield with hangars and workshops at Walfish Bay. He then joined the Royal Navy Volunteer Reserve and, after further training in England, rose to the rank of lieutenant in the Royal Navy Air Service. He served with distinction on many fronts as a balloonist and airplane pilot. In April 1918 he was transferred to the Royal Air Force, was promoted to major in January 1919, and left the service in November 1923. For services rendered to the Greek Ministry of Marine he was made an honorary vice-admiral in the Royal Hellenic Navy. From about 1920 he and his family travelled with a motor caravan in Europe and in 1931-1932 with a caravan of his own design from Cape Town through Africa to London. In 1933 he settled on an estate comprising three farms near Bergville, Natal. He died as a result of injuries sustained when he was attacked by robbers on his farm. Oberholzer, Hannes. Pioneers of early aviation in South Africa. Memoirs van die Nasionale Museum, Bloemfontein, Vol. 7, 1974. 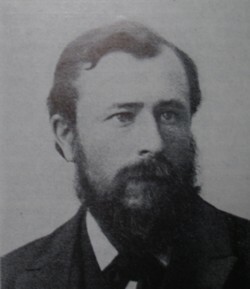 Van Niekerk, C.G. Prophet in his own country: Dr John Weston, South Africa's first aeronautical engineer. Journal of the Aeronautical Society of South Africa and South African Institute of Aeronautical Engineers, 1980, Vol. 1(1), pp. 14-27, and 1981, Vol. 2, p. 1.